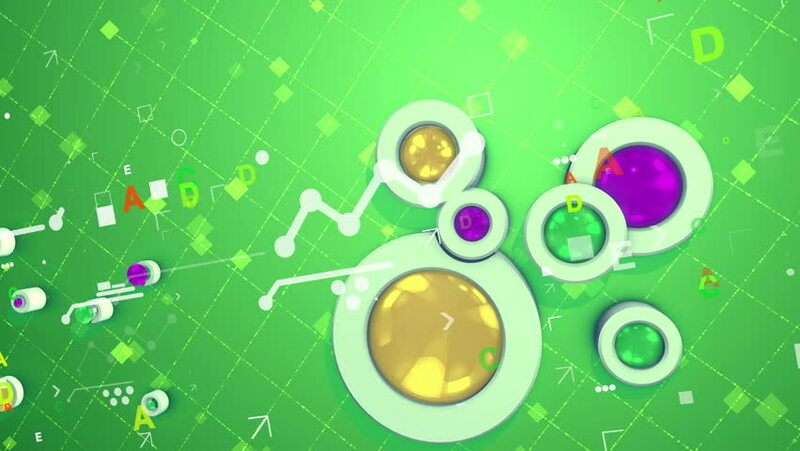 An arty 3d rendering of a light green background with golden cylinders, moving bar charts from crissscross lines and rectangles, cubes, letters, a network and tiny dots in seamless loops. 4k00:10A horizontal pan 3d rendering of a salad background with shining cylinders, moving bar charts from crisscross arrows and rectangles, cubes, a grate in seamless loops. hd00:11Elements of the periodic table close-up. Smooth motion. View angle: Dutch corner. hd00:20Graphical interface showing bitcoin mining process.